Damp Proofing St Margaret’s, Twickenham. 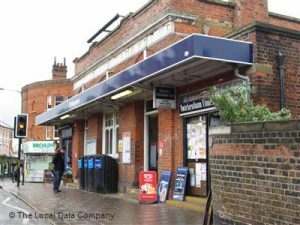 Following instructions from one of our corporate clients, NetWork Rail and damp proofing survey was scheduled at St Margarets Station in Twickenham, for one of our qualified damp proofing surveyors, to inspect and report on damp walls to the station building. The property was thoroughly inspected and moisture readings were taken, using a hand held Protimeter Surveymaster, in measure mode, which recorded high levels of moisture, with a pattern of rising damp in the old Victorian brick walls. The ongoing damp had caused considerable damage and salt contamination to the wall plaster. All of the affected walls were measured and our detailed report, images and floor plan, together with our recommendations, was forwarded to our clients. Following their further instructions our fully trained and experienced damp proofing operatives attended the property and fully protected the areas to be damp proofed. The affected, damp wall plaster was removed, carefully bagged up and taken to a designated place for disposal. The walls were then prepared and a pattern of holes were drilled, horizontally, into the selected lower mortar joint and vertically, where specified. The holes were then cleared of dust and injected with a Silane/Siloxane cream damp proof course, at the approved rates, to form into an impervious damp proof barrier. The walls were then re-plastered, strictly in accordance with out damp proofing re-plastering specification to complete the system. New treated skirting timbers were then fitted and left in priming paint for our clients own contractors to decorate. Damp Proofing should only be carried out by a specialist. We been trading continuously since 1971 and have the enviable reputation as being one of London and the Home Counties most established and reputable damp proofing companies. We are long term members of the Property Care Association (PCA), Trust Mark (Government Endorsed Standards) and an accredited Which? Trusted Trader. All of our damp proofing work is covered by our established 20 Year Guarantee and can be protected by Guarantee Protection Insurance (GPI). Do it cheap, do it twice so call Tapco HomeDry first, to do it right.